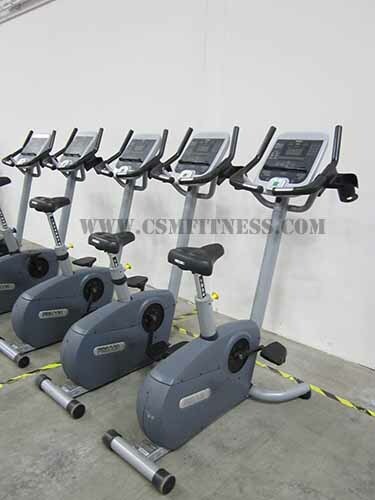 The Precor C846i Experience Series upright bike is Precor’s current model. Featuring a belt drive system with a double step-up drive which gives users a smooth, quiet exercise experience. The Poly-V belt is used instead of chain which also reduces the bike maintenance. A durable, built in magnetic, no-contact generator system provides consistent resistance and reduces the also roughness, maintenance, and wear associated with mechanical alternators. A Poly-V belt is used instead of chain which means its quiet with less maintenance. New on the Experience Series is the Tap Control display which has tactile paddles that control resistance, confirming user input with a satisfying click. The multiple feedback options make it easy to monitor workouts.